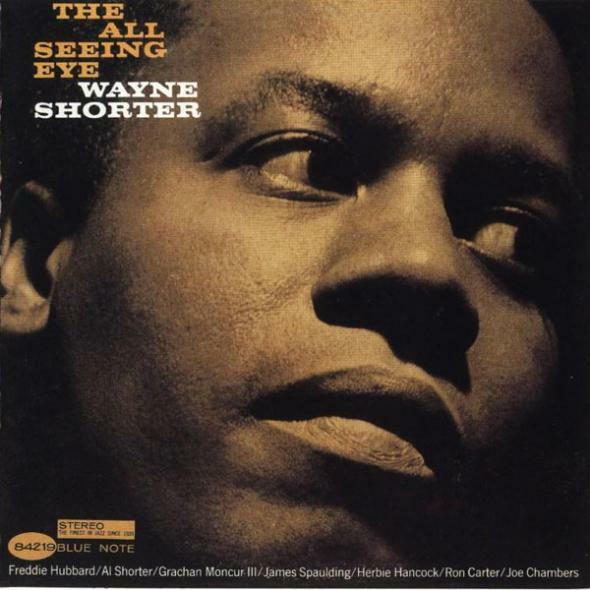 Wayne Shorter’s classic album, “The All Seeing Eye“ will be featured here for all the Jazz Con Class listeners to enjoy. This was a very advance album for 1964. It is categorized as an Avant-Guarde album and with a great supporting cast, James Spaulding (alto saxophone); Freddie Hubbard (trumpet, flugelhorn); Alan Shorter (flugelhorn); Grachan Moncur III (trombone); Herbie Hancock (piano); Joe Chambers (drums). A great album that can be considered to be Wayne Shorter’s best post Hard Bop and before Jazz Fusion success. Every tune is uniquely different from each other and takes its own special path of exploration. Check the schedule link for play times and enjoy! I have been listening to your radio broadcasting for some time and I can assure you without a doubt that your jazz program is the best on the entire network. I hope you could keep it for a long time without advertising and maintaining the quality that characterizes you. My girlfriend and I heard you from Basque Country in Spain with great pleasure for our ears and our senses. That's why we congratulate you and thank you! Thelonious Monk: The Life And Times….. The Da Capo Jazz and Blues Lover's….. The House that Trane Built…….. Bright Moments: The Life and Legacy of………. "Miles Smiles and the Invention of Post Bop"
New Book: "Shadowing Dizzy Gillespie"
Charles McPherson "Illusions In Blue"
Thanks for Listening to Jazz Con Class Radio! Leave Comments and Suggestions on the Feedback Link. Stay updated by subscribing to the RSS feed. ©Jazz Con Class Radio, Inc.